Silicon Studio and Square Enix's latest makes no attempt to hide its roots. Is this a firm foundation for a new game, or has the world moved on since Final Fantasy's PlayStation 1 era? In the last few years, it's been popular to take the critical stance that JRPGs, console-style RPGs or whatever you want to call them are "dead" -- or at least "dying." Actually, as anyone who has an interest in Japanese gaming will happily tell you, this is far from being the case. It is, however, true that the genre as a whole has undergone something of a shift from mainstream appeal into niche interest territory. And with that shift in demographic has come a simultaneous shift in aesthetic and character, with the majority of modern RPGs of Eastern origin catering specifically to the otaku crowd -- all bright colors, big-eyed moe characters and smutty jokes. This isn't in itself a bad thing on the whole, assuming you like bright colors, big-eyed moe characters and smutty jokes, but if you don't, it's perhaps easy to see why some people are under the mistaken assumption that JRPGs are on the decline. Where are the games for people who just want to play a new Final Fantasy? And I'm not talking about the idiosyncratic, divisive modernizations of the genre the Final Fantasy XIII subseries attempted to bring to the table; nor am I talking about the massively multiplayer nature of Final Fantasy XIV, as good a traditional Final Fantasy story as that game tells. No, I'm talking about white mages, black mages, phoenix downs and potions; I'm talking about Attack, Magic, Item; I'm talking about travelling around the world on a distinctly not-to-scale map, alternating visits to towns and dungeons, occasionally punctuated by a swooshing screen effect as I'm thrown into combat against a small party of sentient mushrooms. I am, as it turns out, talking about Bravely Default. Critical hits! Pop-up numbers! Sparkly spell effects! Yep, that sure looks like Final Fantasy to me. At the same time, though, it's a thoroughly modern title that takes full advantage of the 3DS connectivity and the popular mechanics of mobile games. It even incorporates microtransactions into its game design -- though thankfully, as we discussed a while back, these don't interfere with the experience at all if you don't want them to. It is a fascinating blend of old and new, and for the most part it works extremely well. One of the things I always found a little frustrating about the "job system" games in the Final Fantasy series is that the stronger emphasis on play mechanics and customization made their stories and characterization suffer somewhat. They were still fun to play, but I never found them to have the same narrative drive as the more "restrictive" (for want of a better term) entries in the series with predefined characters. This is a matter of taste, of course, but I always -- perhaps mistakenly; I did come to the series for the first time with VII, after all -- associated Final Fantasy with epic, heroic fantasy narratives above all else, and thus found the more mechanic-centric installments to be among the more disappointing entries in the series. Ringabel is kind of the best. 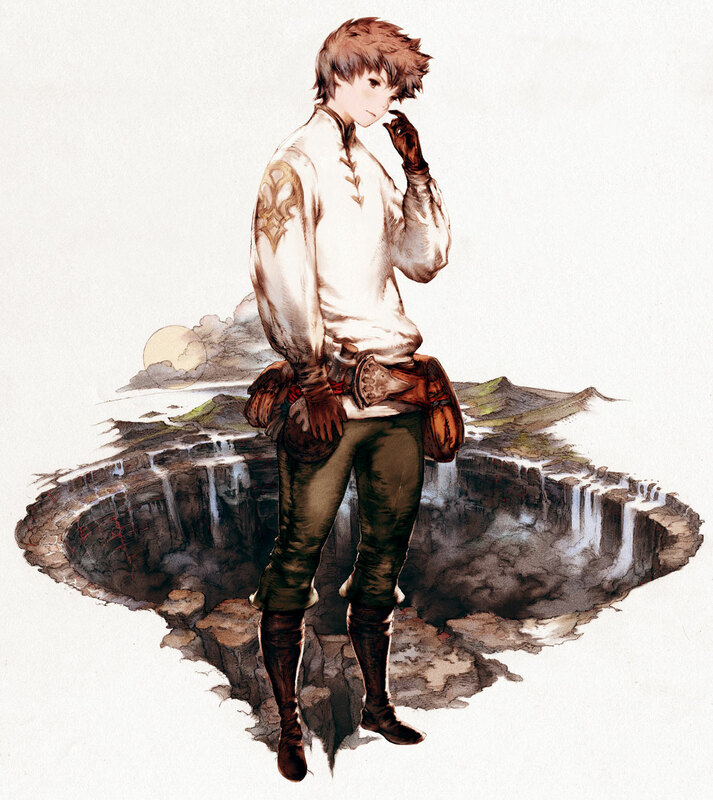 Bravely Default, thankfully, neatly addresses this issue by having a strong story and sense of characterization while at the same time allowing you to take control of your individual party members' development. Each of the four main party members is interesting in their own right, and each gets their own moment in the spotlight -- no-one is there as "dead weight" just to fill up the fourth slot in the party menu. 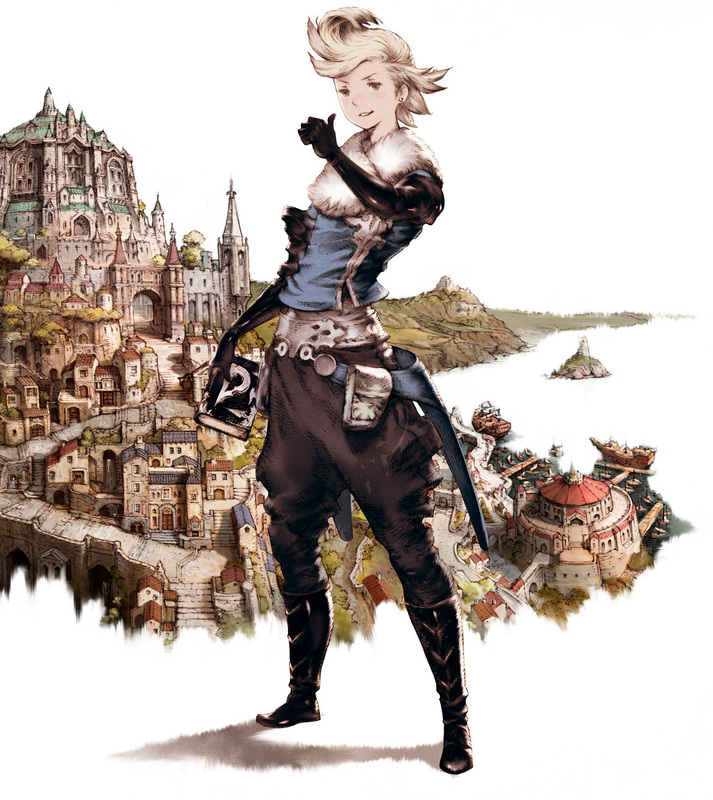 You've got Tiz, initially set up to be the "main" protagonist as his village is destroyed by the disaster that kicks off the game's story; you've got Agnès, who takes the role of "resident mystic" as well as the obligatory character innocent in the ways of the world; you've got Edea, a spunky teenage girl with a fine line in acerbic putdowns; and Ringabel, a womanizing amnesiac who shows up with a strange journal that appears to predict the future of the party's journey. The relationships between these characters grow and change as the story progresses, and there's a real sense of camaraderie between all of them, even though they frequently disagree on things. The relatively straight-laced nature of Tiz and Agnès is nicely counterbalanced by the more rambunctious nature of Edea and Ringabel, who spend an awful lot of time squabbling during the party's downtime. Their developing friendships are explored in several ways -- through the main story scenes you need to see to progress; through the sidequests, which often lead to you unlocking new jobs for the party; and through Tales-style "Party Chat" skits that see the characters commenting on your progress through the game or recent happenings. As for the story itself, it's resolutely old-school Final Fantasy -- at least initially. Bad Things have been happening to the elemental crystals around the world, and this has caused Bad Things to happen to the world as a whole. The wind has stopped, the seas are rotting -- sound familiar? Of course it's up to Agnès (and friends) to sort everything out and make everything all happy and nice again -- though naturally, as these things tend to go, things are far from being that simple. But I'll leave you to discover exactly what's up for yourself -- suffice to say, it's a plot worthy of a numbered Final Fantasy installment, with that distinctive blend of lightheartedness and darkness firmly intact. The jobs make for some... interesting costume choices. 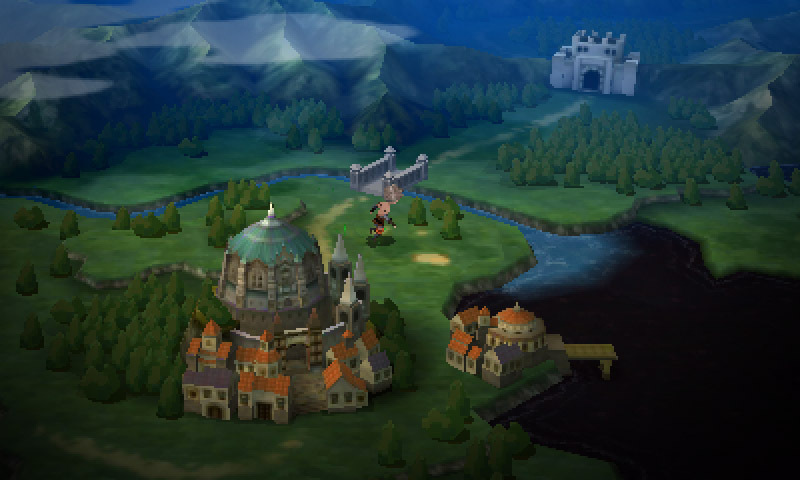 The story takes you to various new locations at a good rate, and each major story beat is accompanied by a number of optional quests that give you the opportunity to explore the wider context of the sacred-vs-secular conflict at the core of Bravely Default's world. These never feel like throwaway afterthoughts as sidequests do in some games, however; they're treated with the same care and attention as the main quest, featuring fully voiced cutscenes and some of the toughest battles in the game. They're worth pursuing from a purely mechanical perspective -- as previously noted, they're the main means through which you unlock new jobs for your characters -- but they're interesting from a narrative standpoint, too. Speaking of jobs, there's a really interesting mix to choose from in Bravely Default, each with their own flamboyant costumes for quick and easy identification. While you initially pick up Final Fantasy mainstays such as knight, black mage, white mage and monk, it's not long before you're acquiring peculiar jobs with their own idiosyncrasies, and in doing so you can tailor your party to your own personal playstyle. The ability to customize your experience is further solidified by a Final Fantasy V-style ability to set a second ability slot as the main action command from another class -- allowing you to, say have a White Mage who can also cast black magic. Even the basic "Freelancer" class -- not particularly good at anything, not particularly bad at anything -- is worth levelling, since it provides some useful general-purpose skills such as the ability to examine an enemy to determine their HP, elemental weaknesses and type, or to avoid damage and status effects from hazardous floors in dungeons. A world map! Seemingly unfashionable in modern RPGs. If you have 3DS friends playing the game, there's no need to worry about levelling all the jobs, either, since the Abililink mechanic allows you to pair up each of the four party members with a friend and "borrow" their job levels and abilities. In this way, the game kind of encourages collaborative play between groups of friends -- agree beforehand who is going to level which jobs and between you you should be able to cover all eventualities. There's no requirement to do this, however; the game is perfectly playable without taking advantage of the social features at all if you don't want to or are unable to. 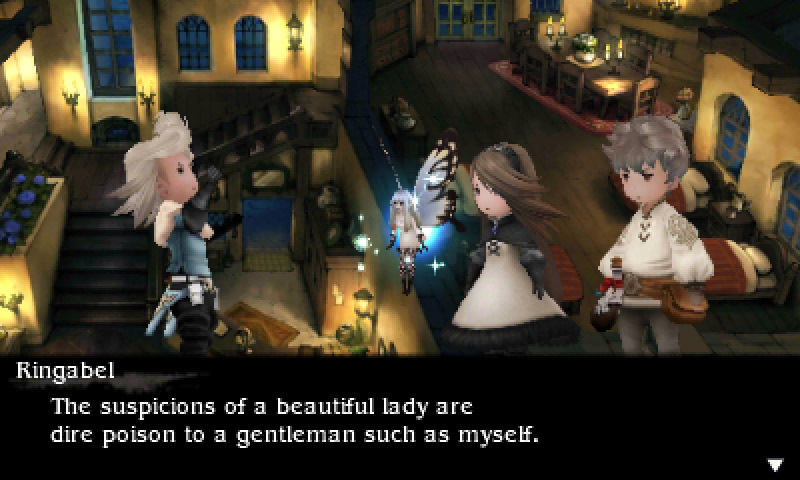 Herein lies one thing that does bug me a little about Bravely Default: I do question how much value the social features add to the game as a whole. I mean, sure, it's fun to be able to summon a friend's character in battle and see what "witty" one-liners they've made them say when they perform their attack -- and likewise, it's neat to be able to use people with whom you've StreetPassed to help rebuild Tiz's home village and consequently unlock items and equipment that can be purchased at any save point. I don't think the game would be any lesser for the absence of these features -- but at the same time they're unobtrusive and don't exactly spoil the experience; they simply feel a little tacked-on. Aside from this one not-really-that-important aspect, Bravely Default is a nigh-flawless game. It plays well, it allows you to customize the experience to your liking -- even going so far as to allow you to increase or decrease the random encounter rate as you choose -- and it's beautifully presented. Oh gosh, is it ever beautiful. Wonderfully convincing use of parallax is used in towns and other pre-rendered environments to create a very convincing 3D effect, while dungeons are depicted in full 3D and each have their own distinctive character. Dungeons, incidentally, are far more than a monster-infested straight line to the boss; along the way there's some interesting puzzles and hazards to avoid, even outside of combat, and plenty of useful treasures to uncover. 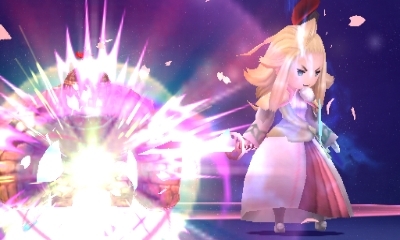 Bravely Default's most spectacular attacks come in the form of Special Moves, which are unique for each weapon type. Sound, too, is exemplary, featuring a brilliant musical score that combines orchestral instruments with elements of folk and rock music to create something truly distinctive that fits the character of the game well. Some tracks -- particularly the excellent battle themes -- are somewhat reminiscent of Yuzo Koshiro's spectacular compositions for the much-derided Time and Eternity, which is no bad thing; whatever you may have thought of that game, it's hard to deny that the soundtrack was worth a listen. The only real aspect of the presentation some may find a sticking point with is the characters, and again this is a matter of taste. While in the promotional artwork -- and even the game's impressive augmented reality intro movie -- the characters are depicted as having realistic proportions, in game they have a somewhat "chibi" appearance that makes them look a lot younger than they are supposed to be. And while each of them are distinctive from one another, even when wearing the same costume, they also all have artist Akihiko Yoshida's trademark vacant expression on their faces most of the time. 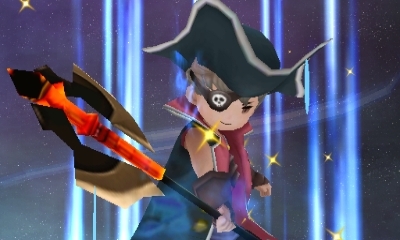 This can give some scenes an unnecessarily dour feel to them, though there is at least some attempt to counter this with occasional facial animation, particularly in the very expressive Edea's case -- and the voice acting, particularly the top-notch Japanese vocal track, makes the emotions of a particular scene very clear even if the characters' appearances don't. 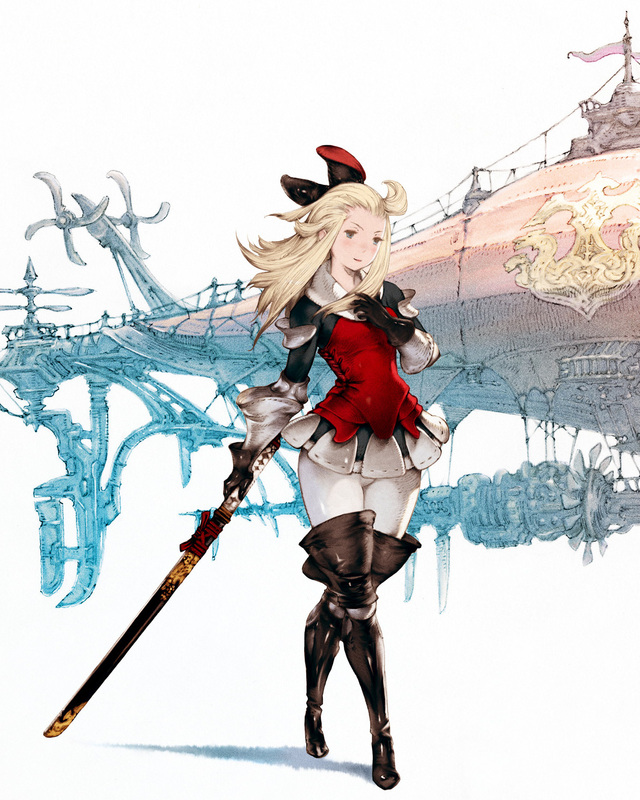 Ultimately any criticisms I have of Bravely Default are fairly minor, though. Make no mistake, this is a fantastic game -- let's hope it does well enough for us to see more like it in the very near future. For while I -- and at least some of you reading this -- do enjoy a good brightly-colored moe RPG, there's something inherently comforting about playing a new Final Fantasy. Because let's not kid around; it may not say Final Fantasy on the box, but this most certainly is a new Final Fantasy -- and a very welcome sight it is, too. 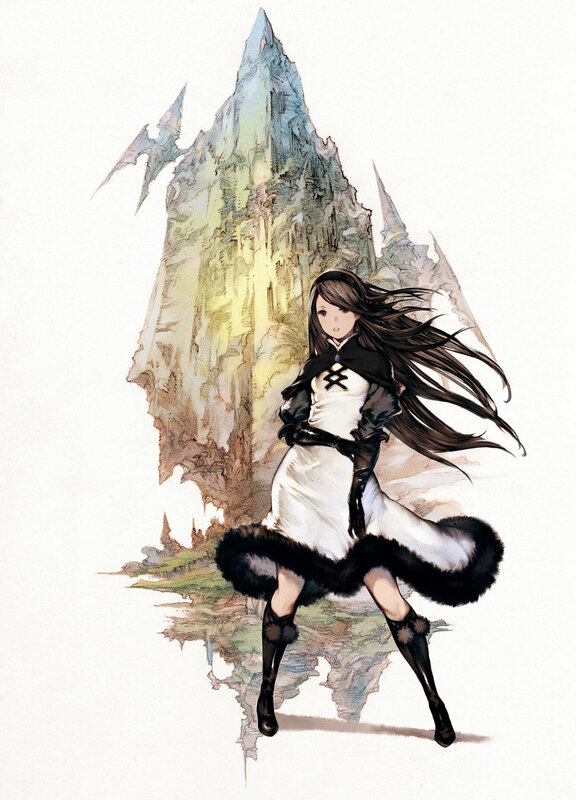 Bravely Default single-handedly makes me hopeful for the Japanese side of Square Enix. It's such a sublime, perfect little thing that it and Final Fantasy XIV make me think, "Nah, things aren't so bad over there. They can learn." Sure, you could point out that the game wasn't developed by Square Enix proper, but I choose to believe that picking the right team to make a game is more important than trying to make the game yourself and failing. More hyperbole: Bravely Default is the most "Final Fantasy" original product Square Enix has published in a long time. Games like Final Fantasy XIV, XIII, and XIII-2 may fit the spirit of using the name "Final Fantasy" - the idea of putting all of your effort telling a big, epic story - but I wouldn't necessarily say they conform to what my perception of a Final Fantasy game is. The last game that I'd say fit my idea of Final Fantasy was Final Fantasy X (perhaps X-2 as well). I enjoyed Final Fantasy XII, but I think it took the series into a different space. That's not bad, it's just evolution. Bravely Default is an old-school Final Fantasy with the serial numbers filed off. It's pure original JRPG in the same way that Dragon Quest VIII was when it came out. You get the feeling that Silicon Studio just decided to pare things back to what worked back in the day, and focus on what made those things so good. It doesn't break much new ground; the Brave and Default systems change up your strategy, but really you're just moving around your command attacks. The job system is similar to what you've seen in Final Fantasy III, V, Tactics, and other games. You attack, you defend, you cast Cure, you cast Fire, you run into random encounters, you save before a boss. You've done this. We've all done this. Bravely Default is just so goddamn simple; if you like old Final Fantasy games, this is your comfort food. It's like Final Fantasy X and beyond never happened. The other thing I love about Bravely Default is that it's so malleable and user-friendly. Tucked away in a settings menu is the ability to tweak how the game plays. Don't want to gain experience or Job Points for an hour or two? You can turn them off. Enemies too hard? Just change the difficulty. Trying to backtrack without being harassed or you need more random encounters to grind some levels? Just change the random encounter slider; you can double the rate or drop it zero. Turn off destination markers to increase the feeling of exploration. Are you grinding and tired of hitting that damn attack button? Just turn on autoplay. Japanese or English voice tracks are available, too. There's just so much choice available in Bravely Default and how deep you want to go into that is up to you. I changed settings on the fly all the time depending on my mood, but you may decide to tweak the settings in the beginning to give yourself a harder experience and never go back into those menus. 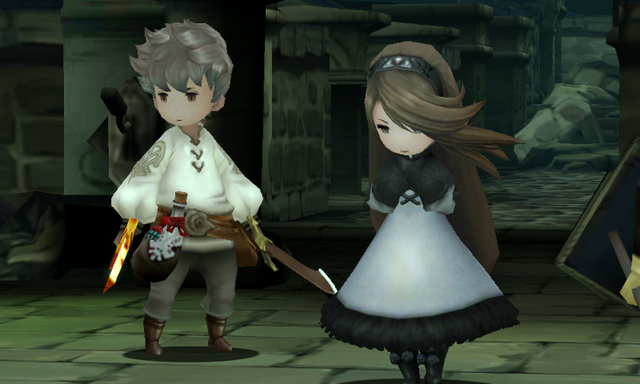 Bravely Default asks you, "how do you want to play?" and then assumes that you know what you're doing. It's refreshing. This is one of the best original RPG experiences Square Enix has done in a long time. Luckily, the sequel is already confirmed and on its way already, but I admit I almost want to see what Silicon Studio could do on a home console with Square Enix's resources, even with just a mid-sized digital download game. But I'll only take that if they don't mess with the experience they're providing here. Square Enix can explore the depth and breadth of "Final Fantasy" with it's larger games, but Bravely Default represents something that the publisher should never forget: its roots. Visuals: Beautifully designed throughout. Character design is a matter of taste, but even if you're not a fan of Yoshida's art, it's difficult to deny how well-realized the world as a whole is. Music and Sound: The music is incredible. The voice acting -- of which there's an impressive amount -- ranges from reasonable (English) to spectacularly emotional (Japanese); it's nice to have the option according to your own personal tastes. Interface: If you've played a PS1-era Final Fantasy, you're good to go. Tutorials throughout the game are positioned as optional quests and do not interrupt gameplay at all. Other devs, take note! Lasting Appeal: This is a long game. Be prepared to lose many hours of your life -- even more if you decide to pursue all the optional content, of which there's a significant amount. In terms of value for money, this is hard to beat. 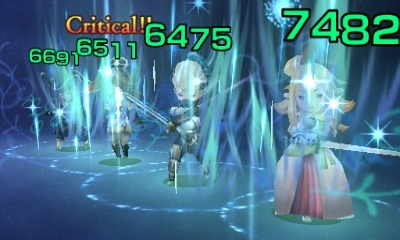 Bravely Default Salve-Maker Guide: What are the Best Compound Recipes? It's a return to Final Fantasy's roots, and it's beautiful. Tagged with 3DS Handhelds,	bravelydefault,	Nintendo,	Reviews,	siliconstudio,	squareenix.